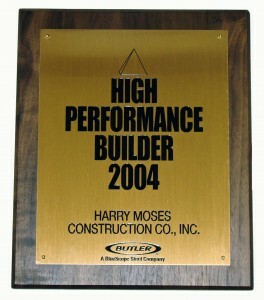 Harry Moses Construction Company, Inc., a general contracting company located in Vidalia, Georgia has been awarded the High Performance Sales Award by Butler Manufacturing, A BlueScope Steel Company, the world leader in the development and manufacture of metal building systems. 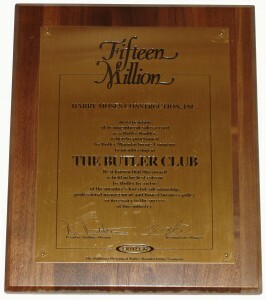 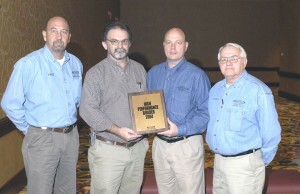 Patrick Finan, President Butler Buildings North America, presented the award at Butler’s 2005 national sales meeting. 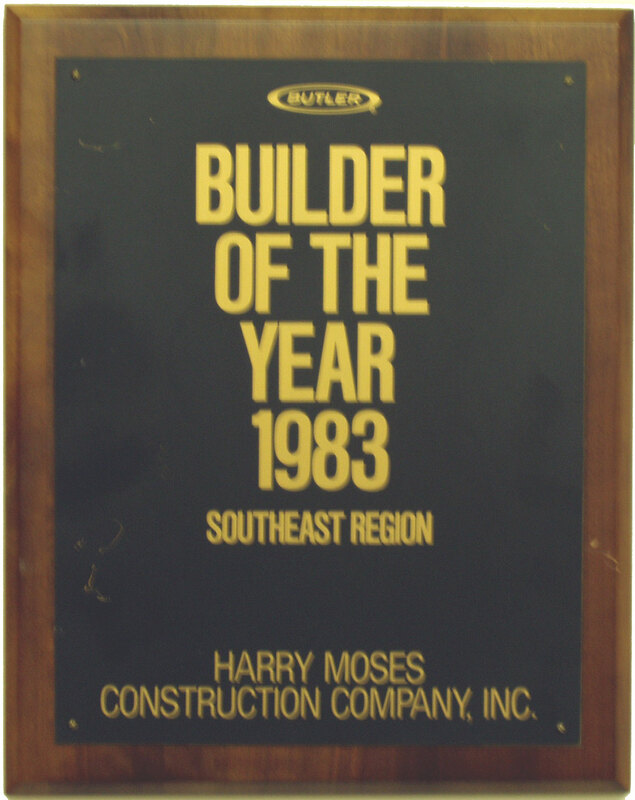 The designation is awarded to Butler Builders that meet or exceed annual trade area goals as well as demonstrate superior marketing skills in the sale of Butler building and roof systems. 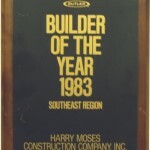 Harry Moses Construction Company, Inc was established in 1974 and has been marketing and building Butler buildings since 1978. 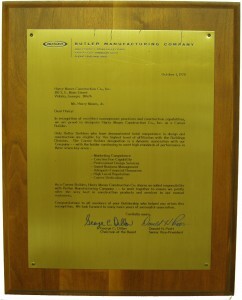 The company’s officers are Carroll Williams (President), Harry Moses Jr. (Founder), Elaine Deloach (Controller) and Roger Marsh (Vice President). 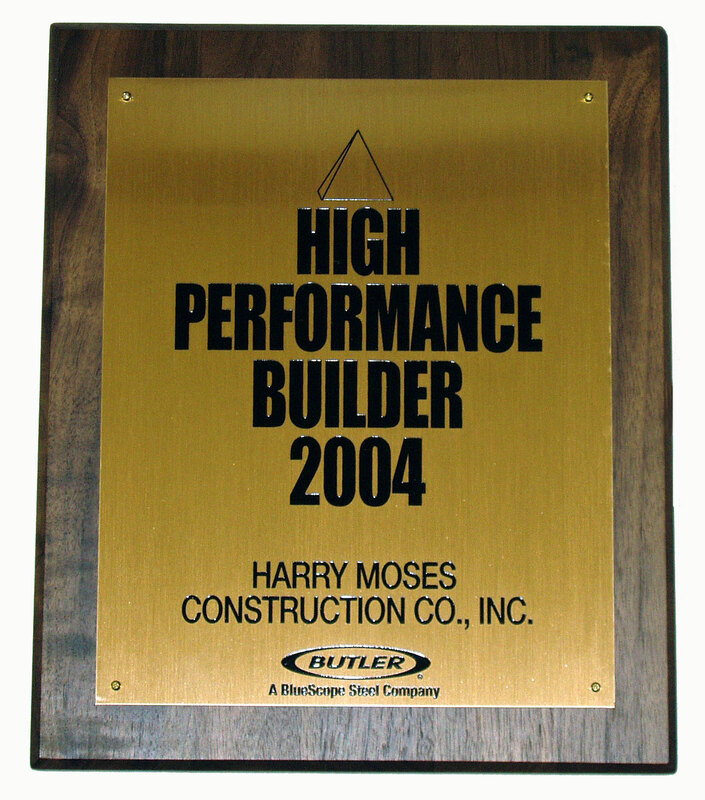 Harry Moses Construction Co., Inc., a general contracting company located at 1909 Commerce Drive in Vidalia, Ga., has reached the fifteen million dollar sales level with the Buildings Division of Butler Manufacturing Company, the world leader in the development and manufacture of metal building systems. 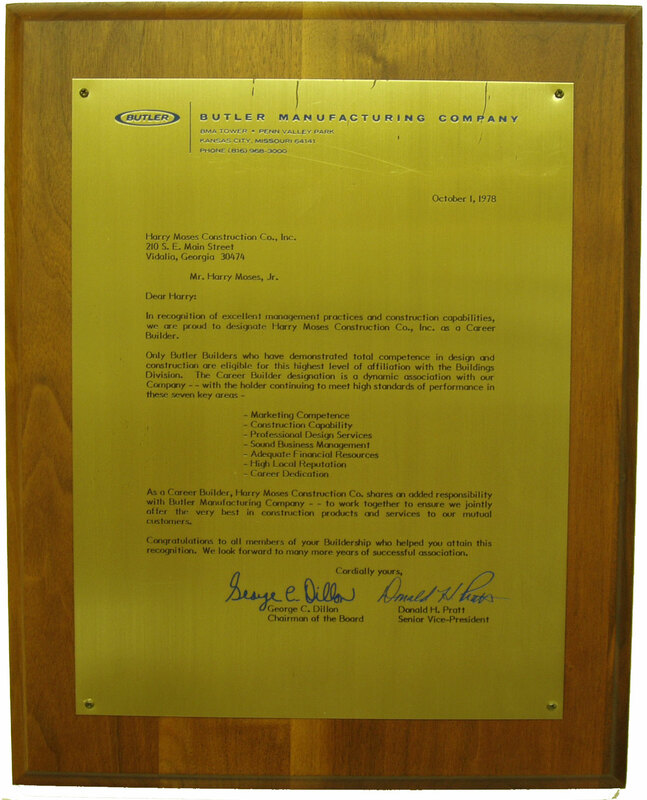 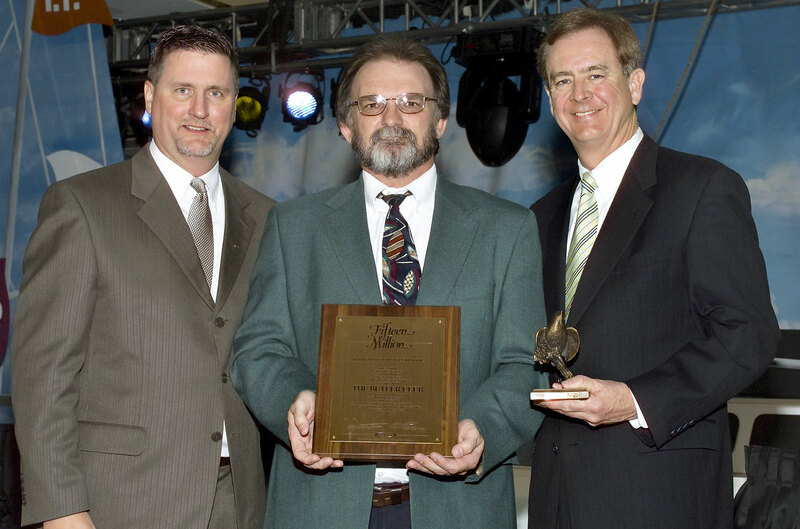 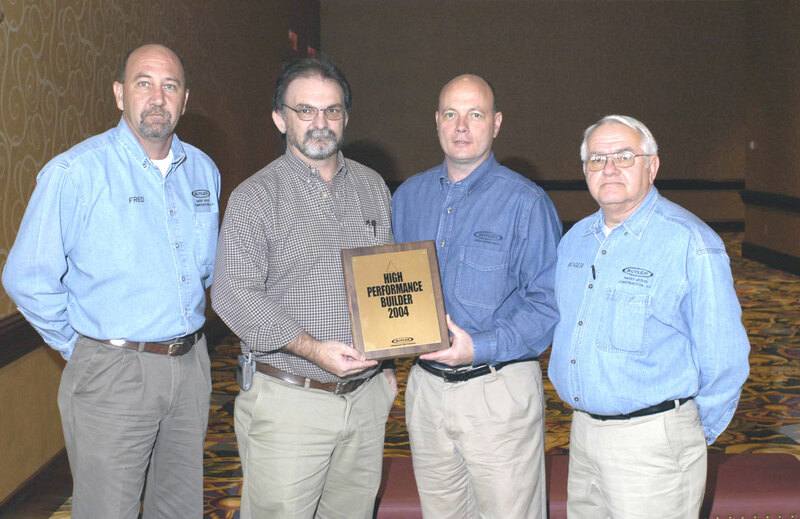 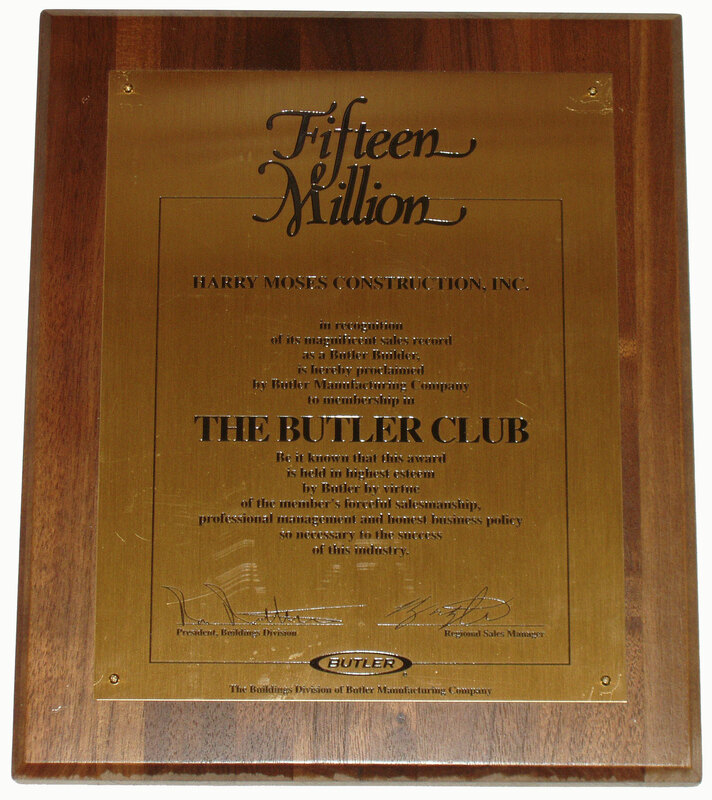 Ted Wolfe, Senior Vice President of Sales and Harry Yeatman, Southeast Regional Sales Manager presented this award, at Butler’s 2004 national sales meeting. 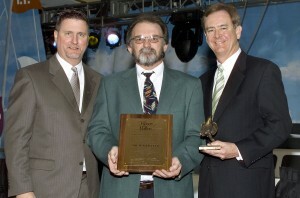 Receiving the award was Carroll Williams. 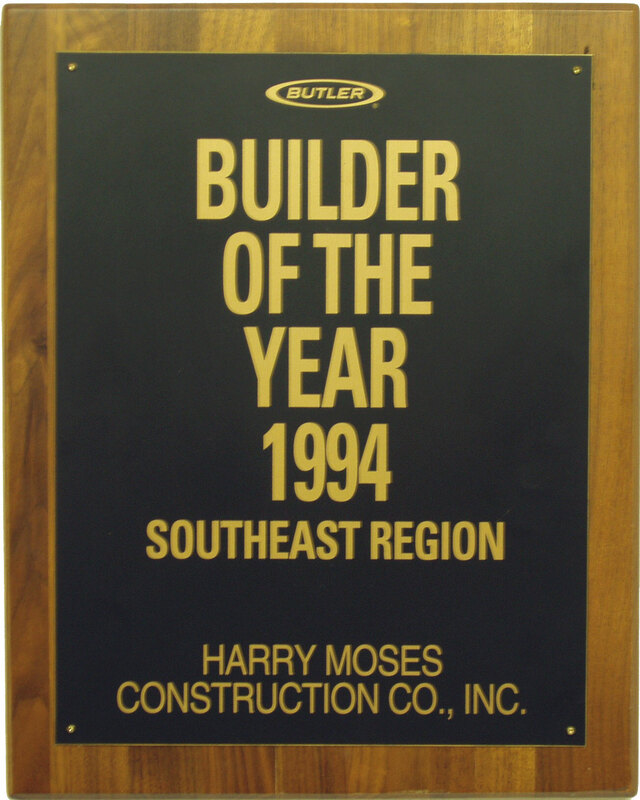 Recently completed local projects using Butler building components include ALLCARE Pharmacy, The Trane Company Harris Industrial Blvd., Robert Toombs Christian Academy High School Wing, and Georgia Central Railroad Cooperate Office. 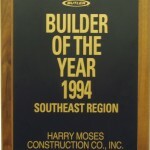 Harry Moses Construction received this Buildership award from Butler for outstanding management and construction capabilities.